Do You Teach A Prodigy? 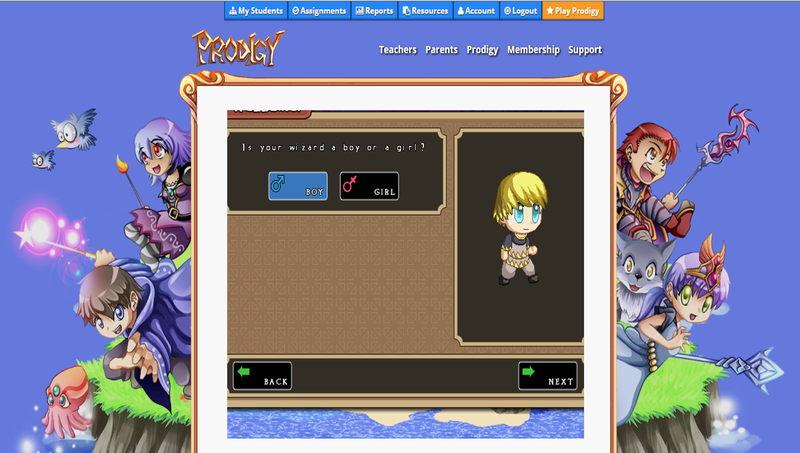 Prodigy believes in equal access for all, so their product is free FOREVER! (This makes me happier still!!) The game is in the style of that other video game that the students love to play... the one with wizards and duels and powering up and all those other kid-things I don't understand, so my kiddos LOVED it!! The game shows the students clearly what they are to do next. Did you notice the yellow box around the "Next" button? That pulses to show the student where to go or what to do. 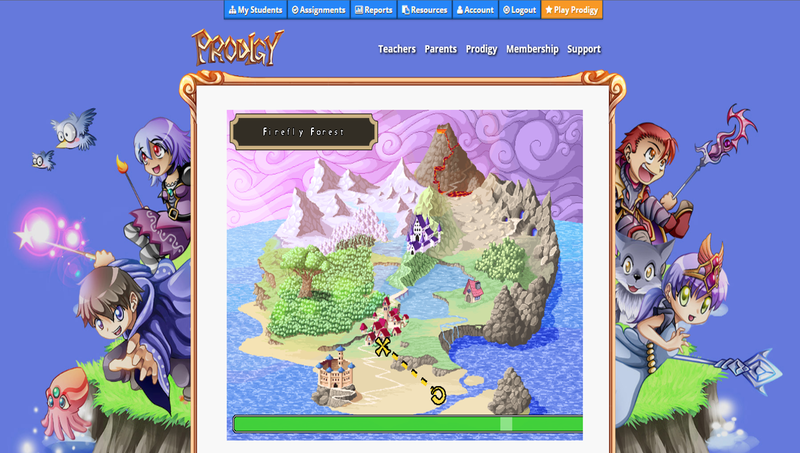 Students travel through this magical world completing a variety of activities. They can visit locations, play with their pets, interact in a controlled way with other anonymous players, and engage in challenge duels to earn XP points and levels. The students win these challenges by answering math questions! 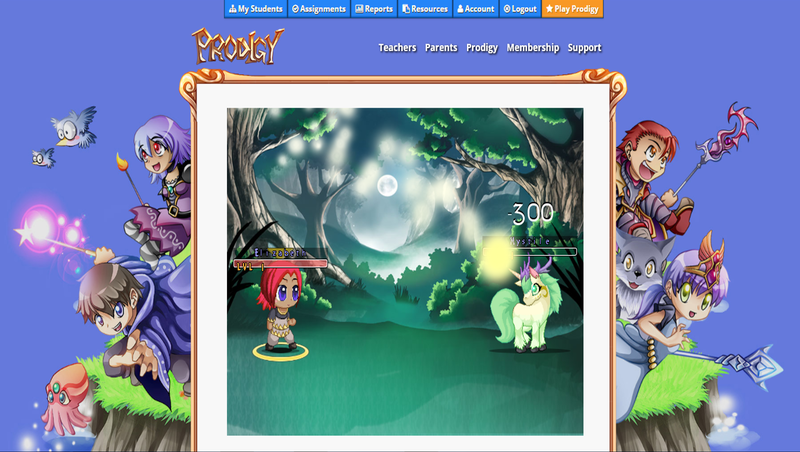 Prodigy gives teachers the option of setting the grade level for the students, or having the program diagnostically set them in the level most appropriate for them based on their results. These results for one of my Grade 2 students don't impress me, but I think they were so excited about the game that they didn't realize they were working on math. Next week when we play again, I'll let them know that I'm tracking their results. This looks GREAT!! I'll take a look and pass it along to my husband who teaches computers k-7. Thank you Erin!